The Internet of Things era has officially arrived. As recently as six months ago, companies were just starting to experiment with IoT-based solutions. Today, companies are implementing the broad deployments of these solutions everywhere – from airports to restaurants to retail pop-up stores. With more enterprises integrating IoT into their operations every day, companies across all sectors are beginning to ask themselves: what does this shift mean for me and how will it affect my business? While enterprise customers already have a broad sense of the technology’s importance, many are unsure how to navigate this new IoT landscape. Today’s marketplace is both fragmented and crowded, with a wide range of providers pitching new IoT platforms, management tools, and solutions. Not only is this landscape confusing, it’s rife with security risks, as every IoT-enabled device creates a new internet connection and a corresponding stream of enterprise data. It can be difficult for any enterprise to navigate these challenges and develop an effective IoT strategy. So how can you build an innovative IoT solution that will transform your business? Here are four rules that can help your IoT strategy to drive real value by increasing efficiency, boosting productivity, and enhancing customer service. With these tips in mind, your enterprise will be ready to overcome the challenges of the emerging landscape and unlock this technology’s full enterprise potential. Every company has specific IoT enterprise needs. An assisted living facility may use IoT-enabled sensors to provide every living space with motion sensors, pathway lighting, and voice activated controls. An insurance company, on the other hand, may use them in a customer’s home to offer differentiated premiums. In either situation, you need to have a clear vision for how IoT solutions can help you provide a specific benefit, deliver a specific experience, or overcome a specific challenge. To use the Internet of Things effectively, you need to have a clear understanding of the technology’s ultimate purpose within your enterprise. To do that, take the time to think through three questions: How will IoT-enabled sensors help me enhance my offerings and serve my customers? What will this look like at scale? And when should I reasonably expect to see a return on investment? By answering these questions, your company will have developed the foundation for an effective, and comprehensive, IoT strategy. Once you have developed your IoT strategy, you need to find a solutions provider that will help you execute on your vision. But with so many different solution options, this can become a complicated process that involves coordinating between several different providers. And the more providers that you work with, the more likely it is that you will have to juggle between interfaces or be stuck with devices that cannot interact with each other. To succeed in such a fragmented environment, you should look for a solutions provider that can coordinate the project within an ecosystem of channel partners. This allows the solutions provider to tailor a solution to your specific enterprise needs by leveraging a wide range of partner skillsets. And because the provider can ensure that all of the devices are compatible with each other, they can make it easy to manage all of the devices in your network through a common platform and a unified interface. The Internet of Things isn’t a walled-off environment separate from the rest of your enterprise technology. From the moment they start working with a solutions provider, companies should be thinking about how they can integrate their IoT strategy into their larger mobile enterprise strategy. For instance, will employees be able to access a data stream on a tablet? Will they get auto-generated notifications on their wearable? And more importantly, how will you use these new connections to generate efficiencies, and create an ecosystem that is more than the sum of its parts? By thinking about – and answering – these questions, you can use your IoT strategy to enhance your services and unlock new sources of value. IoT-enabled devices will generate new streams of sensitive enterprise data. As they develop an IoT strategy, companies will need to ensure that they can keep all of this data secure. To minimize the risk, companies should look for a security platform that uses dual encryption to secure data at motion and data at rest. They should also look for a security platform that offers controlled authorization and authentication of devices. These two features will create a secure environment for your IoT-enabled sensors by minimizing the potential for threats to access the network, and adding an additional safeguard against any threats that manage to break through. 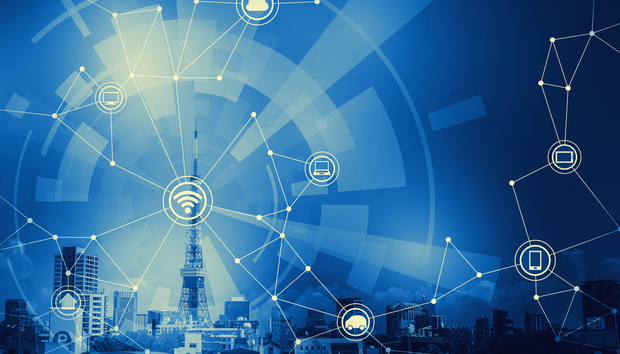 The era of IoT for the enterprise is here, and companies in every industry are using it to improve their operations and enhance their offerings. By relying on these four rules, your company won’t just be ready to start experimenting with the Internet of Things, you will be ready to gain a competitive advantage. « Cyber insurance: Can it save your business?